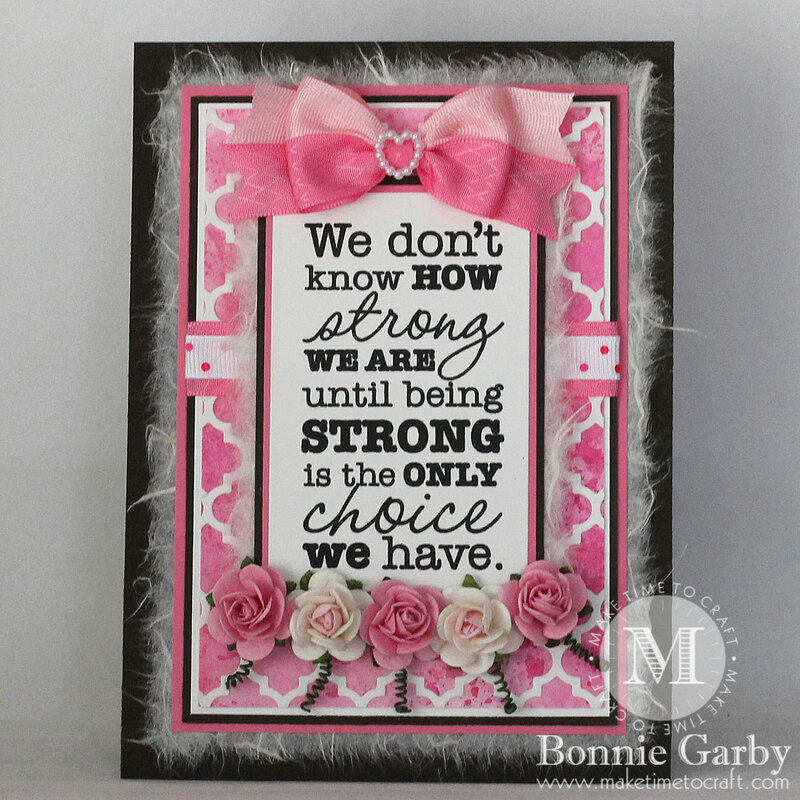 This card is very pretty and I always enjoy watching your bow videos! 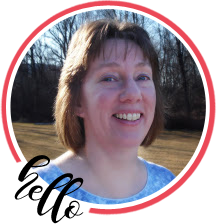 Thanks for sharing your creations, Bonnie. 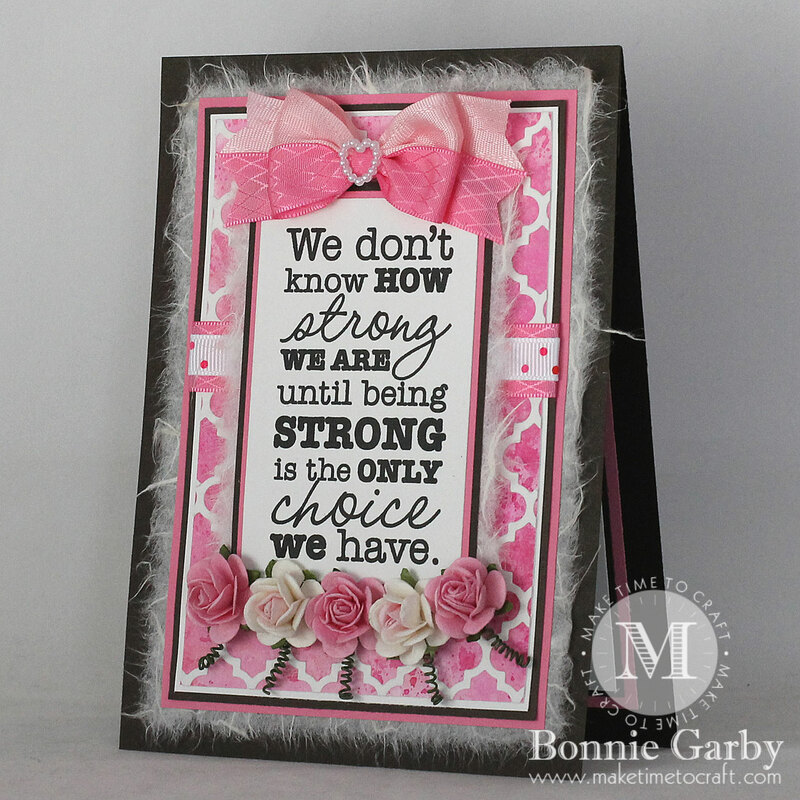 Know several persons who would appreciate receiving such a card…and your head band? I can already see a little girl preening as she dances around wearing it! Lovely card and headband! I always admire your pretty bows! Beautiful creations Bonnie! You always amaze me with these headbands! Thanks so much for playing in our ‘Anything Goes using Dies from Companies carried at the DRU Store’ challenge at Dies R Us. Good Luck and please come back again soon! That sentiment is such a strong statement! Your double color bows are so unique and lovely! 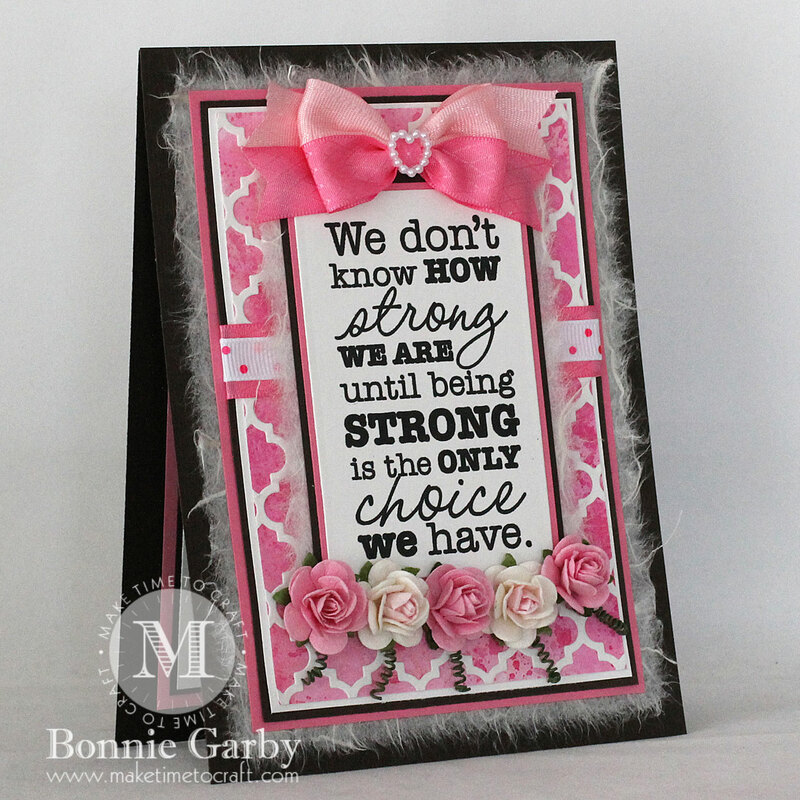 What a fabulous sentiment on your beautiful card, Bonnie. I used to love using Mulberry paper on cards, but have to say, I haven’t done that in quite awhile. It’s all tucked away in a folder. This is very pretty, as is your headband. Beautiful card. I like the row of flowers and the pretty bow. I like the headband too. Love pink, too. That headband is wonderful! That is so gorgeous and I love the sentiment on it. So true too. 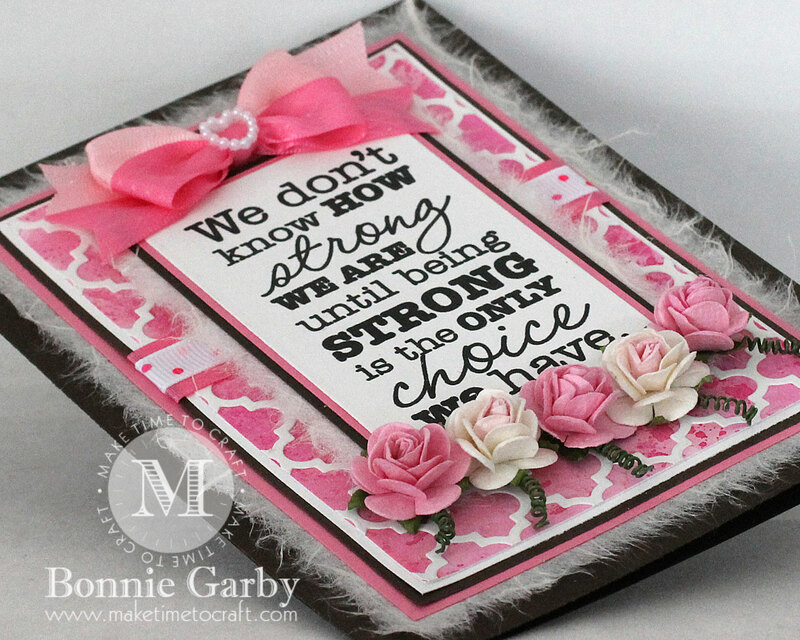 Such a very true sentiment on your beautiful card. 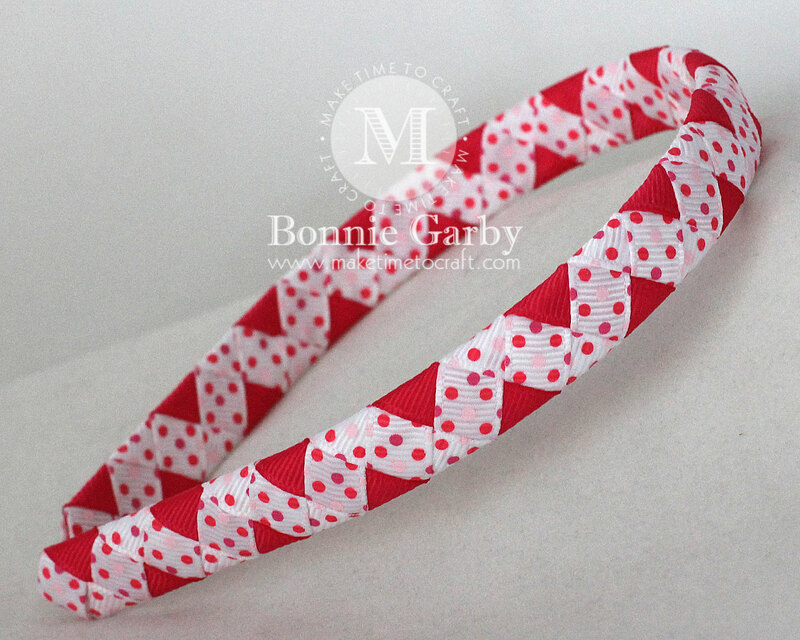 And a lovely headband, too! Gorgeous card! 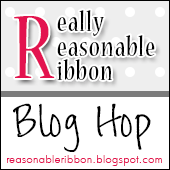 Love you different choices of ribbon pairings! So beautiful!! This is just pinkalicious, Bonnie! I love the sentiment, too! Hugs! 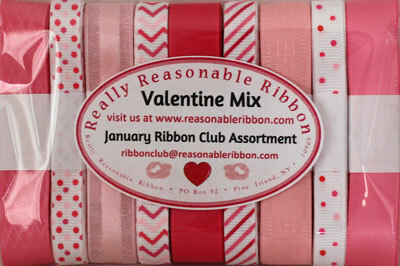 Love your beautiful card, the sweet roses and the awesome sentiment, not to mention the gorgeous ribbon. And the headband is lovely, as always. I love this sentiment! You bow making videos are so very helpful. Thank you!